DRM protection is the control method used by publishers and owners to protect the copyright of digital creative works, such as music, digital books or video. Its function is to restrict the copying of such files, and its use is somewhat controversial. 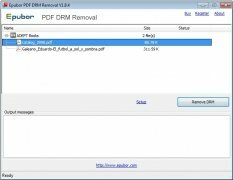 PDF DRM Removal is an application with removes this protection from PDF files. 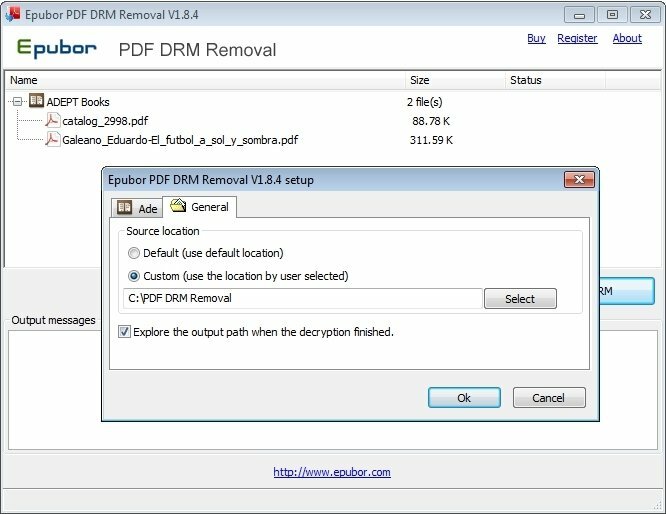 If you have purchased a PDF document you may want to be able to use it freely on any of your devices, and for this Epubor PDF DRM Removal will come in handy. 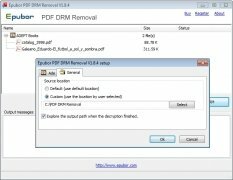 This is an easy to use application, which operation simply consists of selecting the document that you want to eliminate the protection from and clicking on "Remove DRM", giving you full access to your PDF files for responsible use. Removal of DRM protection without any loss of the document's quality. Possibility to delete the protection of whole files. Fast and easy protection elimination process. Informative messages about the state of the operation. 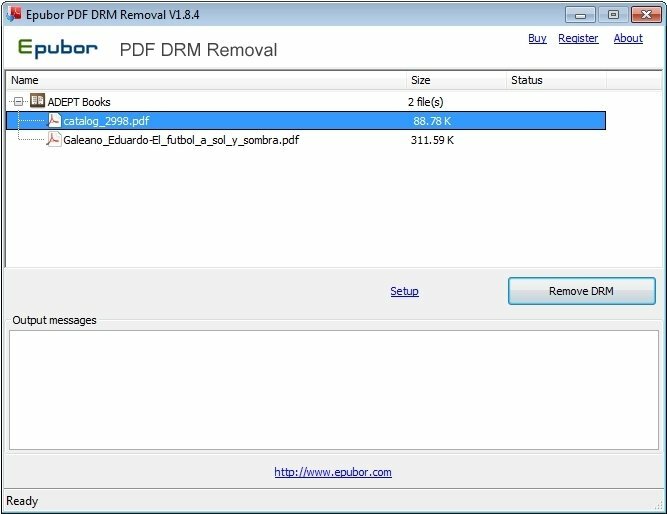 Don't hesitate to download PDF DRM Removal and you will be able to get rid of the DRM protection of your PDF documents. The trial version only allows the protection removal from two documents. It is necessary to have previously installes Adobe Digital Editions and have made sure that the documents in question can be read by this software. Documents of which protection has been removed are strictly for personal use. Whatever actions that may affect the document's copyright laws are the user's responsiblity.